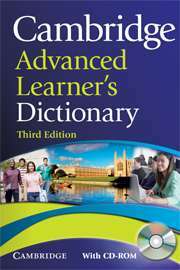 Cambridge Advanced Learner's Dictionary was first published in 1995 under the name Cambridge International Dictionary of English, by the Cambridge University Press. The dictionary has over 140,000 words, phrases, and meanings. It is suitable for learners at CEF levels B2-C2.